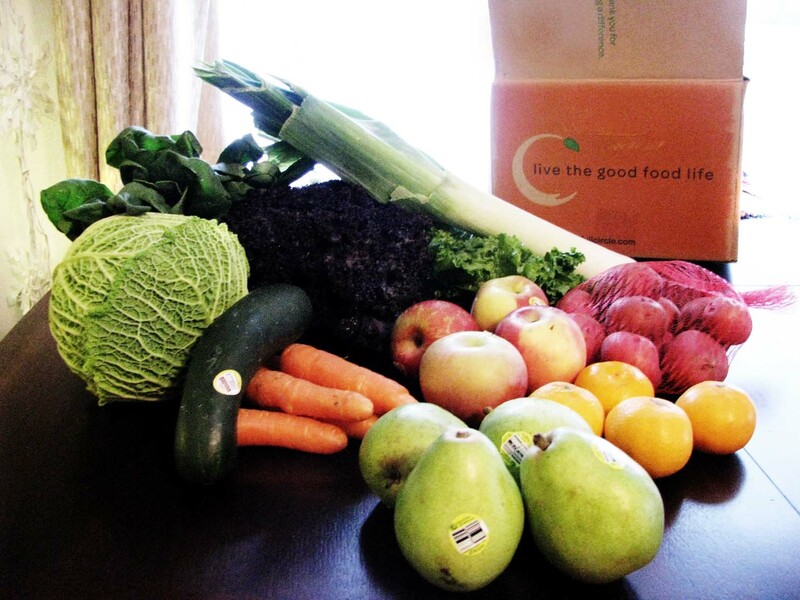 Want fresh organic produce delivered weekly? I recently became a member of Full Circle Farms and am proud to say they make me eat more fruits and vegetables. I find that having the membership helps me make healthier choices. I paid for this service and don’t want anything to go to waste so I eat it! I get to choose what is being delivered so it makes meal planning easier. I have found Full Circle Farms very pleasant to deal with so I wanted to help you ring in the new year with healthy choices. For their Valley friends Full Circle is offering $10 off the first order by using the coupon code “CELERY”. To get started click HERE! They offer four box sizes to fit your family’s needs: Seed for $34, Sprout for $39.15, Garden for $43.00, and Harvest (the largest) for $54.25. This Palmer pricing includes shipping charges so they may be slightly more than the website quotes. Shipping varies for each location so Wasilla prices may be slightly different. Pictured to the left is about what you would receive in a garden size box. In this box I received 1.5 lbs red potatoes, 1 cabbage head, 1 bunch Leeks (made an awesome potato leek soup! ), 4 Fuji Apples, .75 lbs carrots, 4 D’anjou pears, 1 cucumber, 4 Satsumas, 1 bunch red kale, 1 bunch green leaf lettuce, 1 bunch spinach. I checked with local grocery stores and found that some items were less expensive locally. But other items were unavailable, wilted or more expensive. Overal I think Full Circle is a good value because the price is always the same, items are always available, and the produce is delivered fresh weekly. A note from the company: “Bringing our fresh produce and groceries to Alaska is not always easy. Especially this time of year, we are subject to the unpredictable weather conditions. Our logistics and delivery teams do their best to get high quality food to Alaska members, and the hard work definitely pays off when we see smiles on the faces of locals who haven’t gotten a fresh head of lettuce in several weeks. It’s hearing about people trekking on snowshoes with headlamps on and sleds in tow, just to get their Full Circle delivery, that reminds us the good food we deliver is not only appreciated, but essential. 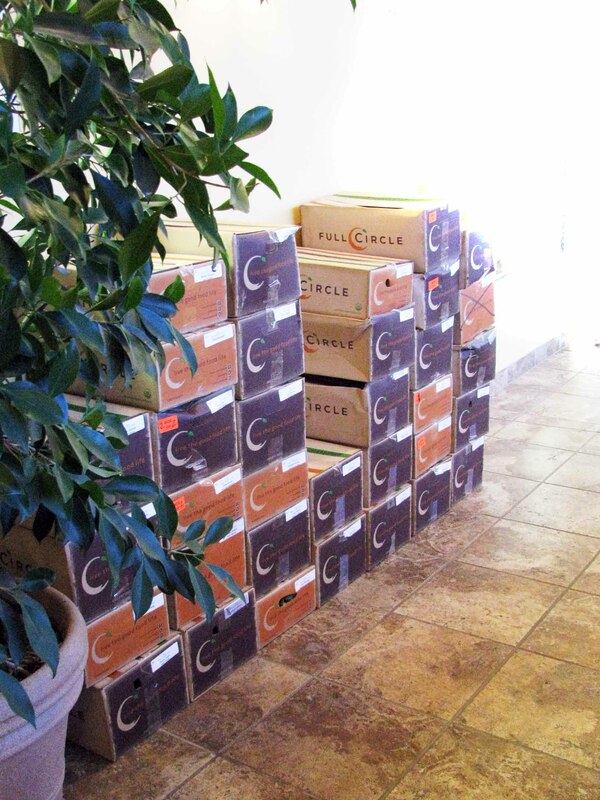 Even when our trucks are stuck in a snowstorm and we’re working through the night to ensure the delivery finally arrives, we never regret the decision to bring Full Circle’s organic delivery service into Alaska, now almost 7 years ago.